Immediately I went to MissHumblebee.com and started looking around. 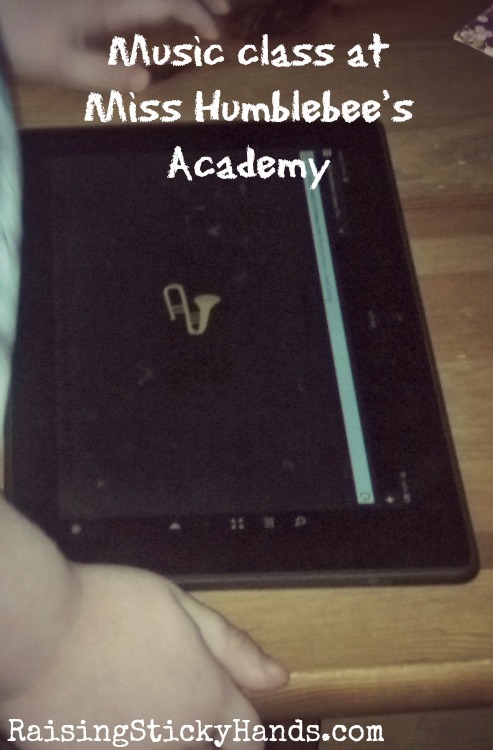 First off I noticed that the program worked on a tablet. Perfect! It may not be an app, but that’s okay. It loads easily on our Android tablets. Second, the characters, music, prizes, and everything else were fun and very animated. Then that was when I saw it: All instructions are audible so that the child can hear what they are to do. They could even be repeated if needed by the press of a button on most lessons. Since my little guy is just coming around to following instructions, this is a MUST HAVE. But would it cover as many subjects as I needed it to? I went on to look at what the lessons consisted of. This is where I was completely sold, because Miss Humblebee doesn’t just cover math and reading, but also science, social studies, art, and music. Not just a little here and there, either, but hundreds of lessons. This wouldn’t be a temporary fix, but something that we could continue to do over time. I can’t imagine what I looked like reading all of this, but if Mary Poppins were in my living room she probably would have told me to close my mouth because I’m not a codfish. This was exactly what I had prayed for! Now, if you’re at all familiar with special needs children, you might know that they live for routine and hate change. It took a couple weeks of just getting him to want to acknowledge Miss Humblebee. He wasn’t interested in creating his own avatar like most kids would be. He would look out the corner of his eye at what was on the screen, but it took awhile to get him to acknowledge it was there. Being we had done this before, I knew it had nothing to do with Miss Humblebee’s Academy and more to do with it being new to him. I pressed on in a way that would not upset him. In the beginning he would give in and do a little after a some guidance then push it away, but I could see by the look in his eye that he was intrigued. This was more than just another learning tool, this was fun and like a game. We took our time and warmed up slowly. Sometimes he would only do a little, other times he would just look around at the different options. Options like “Art Box”, “Music Room”, “Choose A Lesson”, “Rewards”, “Sticker Room”, and more. After showing him the classroom every so often, he gradually did a little bit more each time. 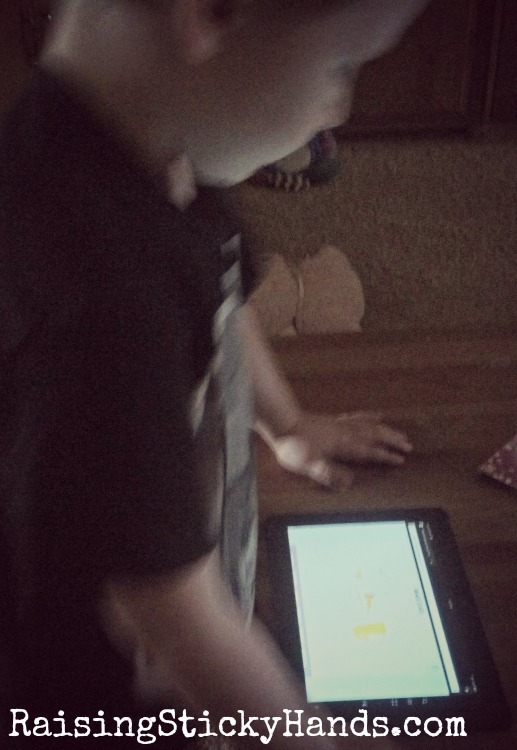 He loves all the characters, Miss Humblebee’s voice, the music, and the “games”. I’ve never had to help him, nor did I ever have to show him what to do. Miss Humblebee made it all so easy, flying around the classroom and guiding him through the lessons. What he surprisingly shows no interest in is the rewards/stickers/puzzles, but I’m assuming that is because he doesn’t quite grasp the concept. Miss Humblebee also offers printables, which is a great addition so that you can work on motor skills while keeping with the theme of the curriculum, but Johnny Ben just seems to hate paper (Maybe it’s the sound of it rustling?) so while I printed a few out, he wasn’t having it. So unfortunately I can’t give you an opinion on those aspects. That being said, Johnny Ben’s 2 year old little sister, Molly, is VERY interested in what all Miss Humblebee has to say and offer. So much so that we will be purchasing a subscription for her soon after her 3rd birthday as well. For now we have had to cut back our lessons to when Miss Molly Pop is napping or distracted. 😉 I really wish I had Miss Humblebee when 6 year old Tommy was in preschool also. It’s so fun, easy, thorough, and extremely interactive. So, I’ve told you that Johnny Ben grew to love it and my toddler is aching to get into Miss Humblebee’s classroom… But how am I tracking Johnny Ben’s progress? Every week I receive an email to let me know that a progress report is available. When that email arrives, all I have to do is click on the link and it’s all right there in my account for me to see. How many lessons he’s completed, how many prizes he has earned, and how much artwork has been saved. I also have access for past progress reports so I can see how he’s coming along. It is exactly what I needed. I do still believe in hands on constructive play for preschoolers. But these lessons are a great addition to all of the other things we are doing without becoming overwhelming. Besides, it is so much more fun that filling out a worksheet! Again, a complete answer to my prayer! The price of a subscription to Miss Humblebee’s Academy is $12.95 a month for 1 child and $5 for each additional. Another option is a yearly subscription at $129 for 1 child and $60 for each child after that. Not sure you want to make a commitment just yet? There is also a free 1 week trial so you can see if it’ll work for your child. Stay tuned to Raising Sticky Hands To Heaven… A giveaway for one 12 month membership to Miss Humblebee’s Academy is coming soon! This week I’m beginning my first post in the Blogging through the Alphabet link-up that is hosted by Marcy at Ben and Me. That’s right, lucky you! You get to read a post by me each week based on the letter of the week. 😉 (I’m working on narrowing down a day, hopefully Mondays, so excuse today’s post being a few days late…) I expect this to be a fun and challenging series, and really look forward to the journey that Blogging through the Alphabet will take me on in the weeks ahead. Be sure to check out the other blogs linked up by heading over to Marcy’s blog… And be sure to check out all that Marcy has to say! In the last few months of reading her blog, I’ve realized a lot about myself and have learned quite a bit. Marcy is a strong woman of God and has great words to share with everyone, not just homeschoolers. She’s one smart cookie! 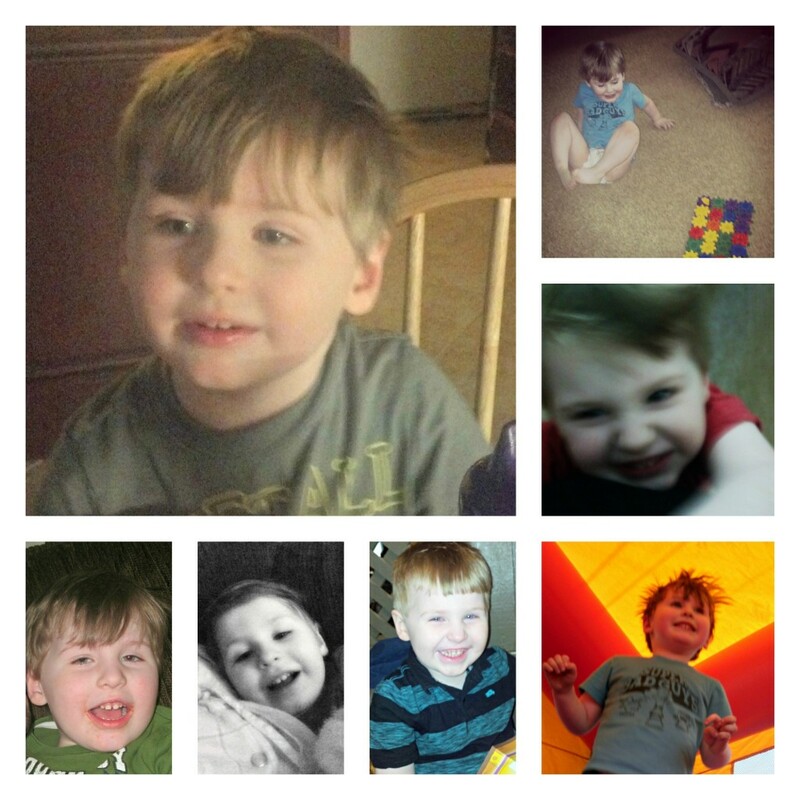 I’ve kind of tip-toed around my son Johnny Ben’s recent diagnosis here on the blog. We haven’t intended to keep it a secret and it’s not that it’s hard to talk about. I guess it’s just that I haven’t known how to approach it. The whole process of learning John is on the autism spectrum, what all it entails, and the abundance of information along with what has to be done moving forward has been extremely overwhelming to me. Not in a bad way, mind you. I’m just… adjusting, I guess. There have been tell-tale signs over the last few years to lead us to believe Johnny Ben has autism. He never really started talking. He says a word here and there, maybe a sentence if he feels like it. Toys have never been played with in the way they are intended. Getting him to actually eat something other than a few favorite foods is not even possible. Social situations in which there are crowds, or even more than a few people, make him very anxious. The list goes on and on. 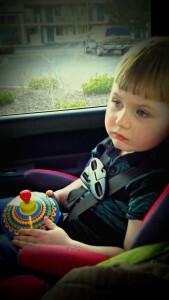 So when we were told that he is autistic we were not shocked at all. As a matter of fact, we were relieved. Relieved, you ask? Yes. Relieved. Now we can move forward and help our sweet boy! Chubby cherub is his name, causing mischief is his name. He’s my Benjerbread boy… Johnny Ben! It was that reaction that surprised me, though. In my life, I would hear of a friend or acquaintance who’s child had been given a diagnosis on the autism spectrum and think to myself, “Oh, that poor mother. She must be so devastated. I don’t think I could ever bear to go through that.” Boy, did God teach me a lesson here! How did I not see before that regardless of the “label” that is put on your child’s mental or physical health, nothing changes? Nothing about your child changes. That child is still the beautiful creation that God brought into this world, and is exactly how God intended for them to be. 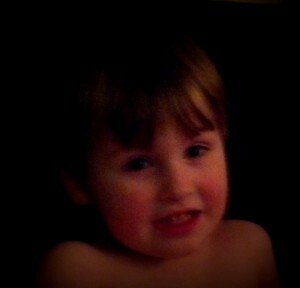 Johnny Ben is still my “Chubby Cherub” that I love and adore. Our day to day life might change, and aspects of it may not be the same as they are for other families, but nothing is actually different than it was before we were officially told. In truth, we never know what our future holds, so there is no reason for me to assume that this will be the way it is forever, either. 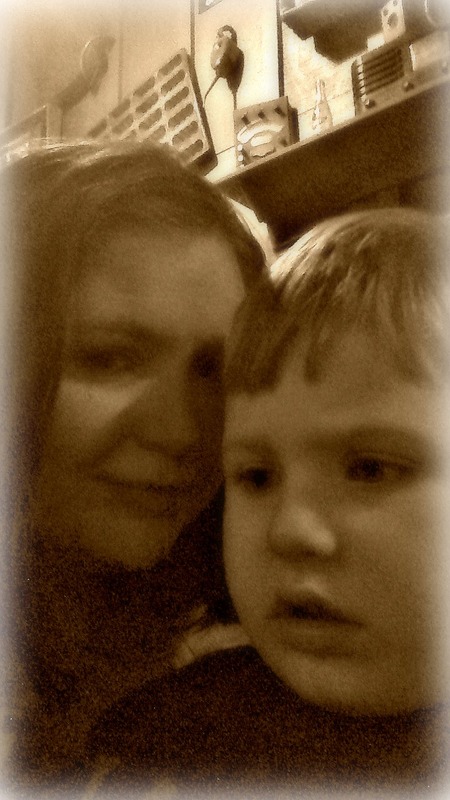 Johnny Ben & Mommy against the world! Take note of the fun vintage top. One of his favorite treasures! Clothing is optional to him. Not by our agreement, mind you. It is a battle daily to keep him clothed. The feeling of texture on his skin is sometimes bothersome… so sometimes we just give in and let him be. A lot of people may not agree with our stance on this, but to be blunt: We don’t care. We have to choose our battles wisely, and this one is just not that important right now. If it can spin, he will spin it. It doesn’t matter what it is. He can sit and spin things for hours. Some of his favorite things are tops, gears, buttons, tins, cups, bowls, and cylinders. Sleep. He thinks it’s for the weak, and clearly he is not weak. This is one battle we are fighting head on. If it involves Winnie the Pooh, The Backyardigans, What’s in the Bible? with Buck Denver, or Baby Einstein, he’s all over it. Have an electronic? He’ll figure it out in mere seconds and find a game to play. Be careful. He’s been known to call Europe and hold “conversations” and has also sent some interesting emails. There is not a lock he can not figure out. Baby proofing schmaby proofing. Locks mean nothing to him. He figured them out faster than Mommy and Daddy did. I do want to mention that in the last few weeks he has progressed tremendously! He now uses crayons, plays peek-a-boo, is talking more, and is showing affection to his little sister that until recently he was either aggressive with or just flat out didn’t acknowledge. This sudden change came out of nowhere! We attribute it to prayer and a new vitamin that we are trying. So, tell me, have you ever had a situation arise in your life in which you reacted completely opposite of what you thought you would? Did you feel the peace of God come over your spirit and whisper to you, “It’s okay, I got this?” I’d love for you to share with me! Until recently, we had not used a formal curriculum for math. Sure, we did math, but it was a compilation of basic skills, free worksheets that I had found online, games, flash cards, manipulatives, art, and workbooks that I had put together. 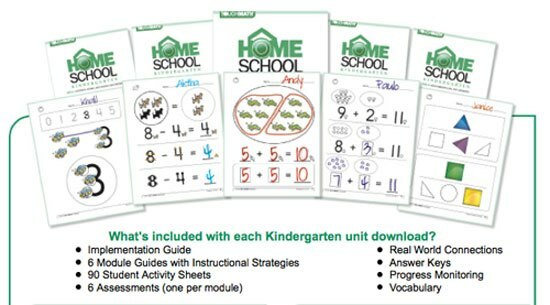 So, when we were offered the chance to review the Kindergarten Homeschool Curriculum from TouchMath right at the beginning of our Kindergarten year, (We began in January.) I was relieved. Not that I don’t know Kindergarten math, mind you, (Though some might say I don’t. 😉 ) I just felt it was time to begin using some “real” curricula and to be honest, when it came to math, I wasn’t sure where to turn. I usually get excited for curriculum shopping. However, I wasn’t really liking what I saw in the math department. Up pops this opportunity, and what do you know? It was an answer to prayer. 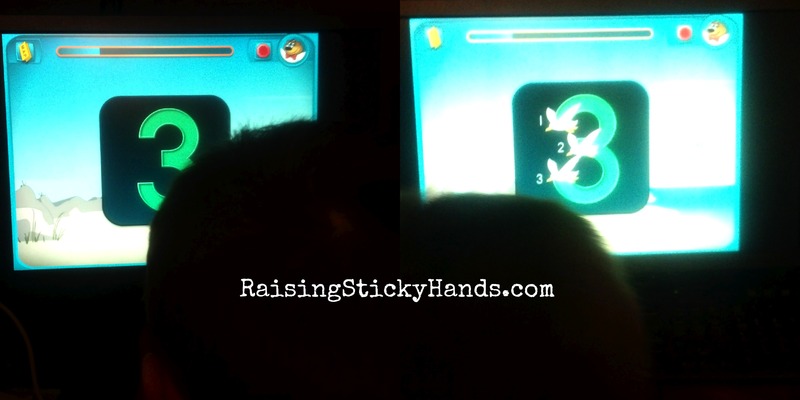 TouchMath uses a very tactile approach by utilizing TouchPoints. With this approach, every number has points. Each point has a value of one and is assigned a place on the number. When counting the numbers, the child touches the points and says them aloud, adding up the value of the numeral. The “year” is broken up into units (A-D) and then into 6 modules. The manual is probably the best one I’ve ever seen, actually walking you through each and every step of the worksheets/activities by telling you when to let the child work alone and when to guide them. Forms for monitoring progress or to take notes on what to go back and review more of are also included, along with detailed explanations of what your child should be doing and is expected to know before beginning the module and after. The lessons are to last about 2 1/2 times your child’s age, so since Tommy just turned 5 this last week we focused on 10-12 minutes of lessons 4-5 days a week. Some days this meant we only got through 1 (a few times less) worksheet or activity. Other days it meant we did 3 worksheets or he flew through the lessons on the software. In the beginning this worried me, but after a few weeks I realized it was working out for him when he was counting to 100 at a family dinner with my parents and showing such confidence about it. At this point in time he is learning subtraction and is just going with the flow. A quick example of Tommy using the software. All in all, I give TouchMath a good rating. Teaching math to some kids is just flat out hard. Especially a child who could care less about it. It got my son’s attention and has him learning things he needs to know. A+! Want to know more? Feel free to click here to see other reviews, including those of families who were given different grade levels. Thanks for stopping by!